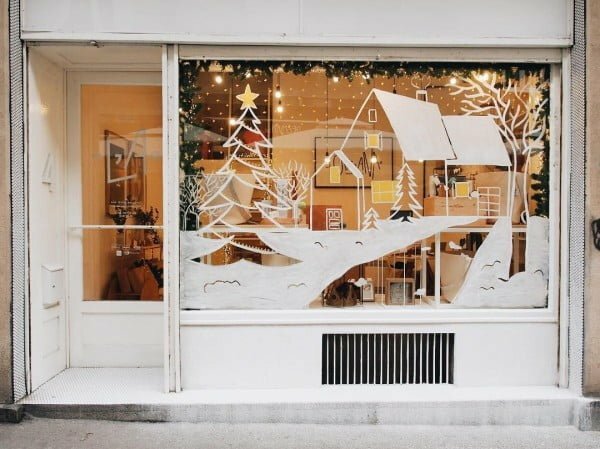 Looking to make the best Christmas window decorations on the block in 2018? 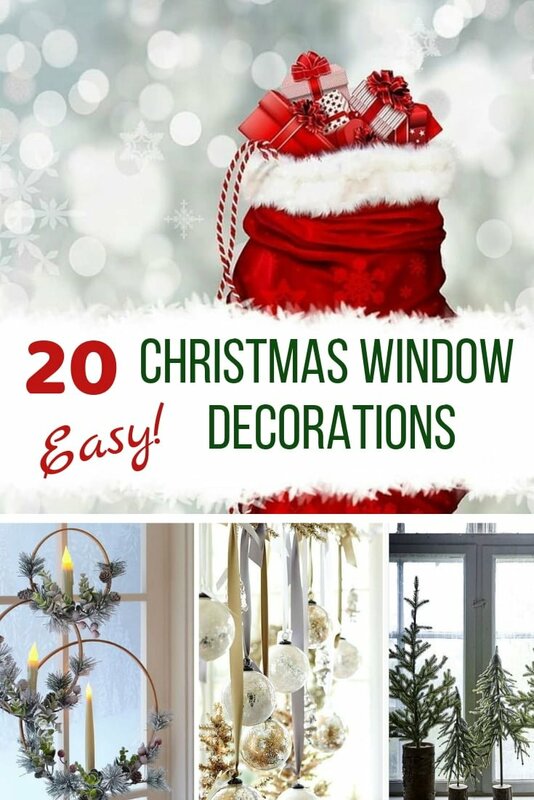 Here are 20 easy Christmas window decorating ideas that will set you on the right path. 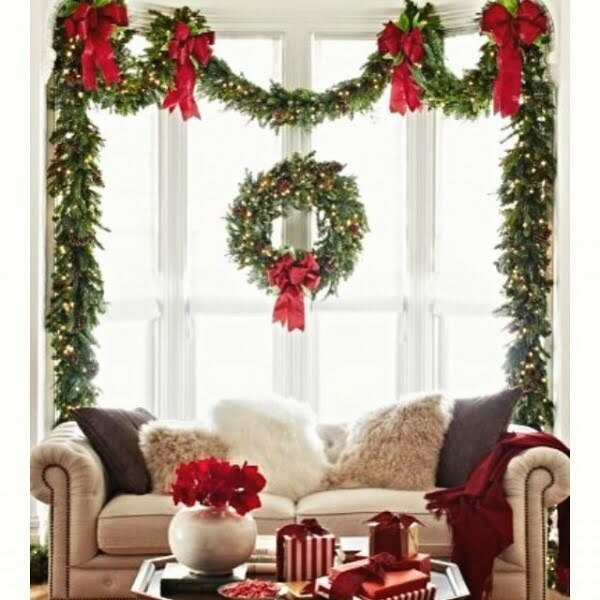 Windows are the place to decorate your home for the Holidays because they can be seen outside just as well as inside. That’s a great way to create the festive spirit for everyone to enjoy. There are many ways to do it too – from classic Christmas decorations to modern artsy props. 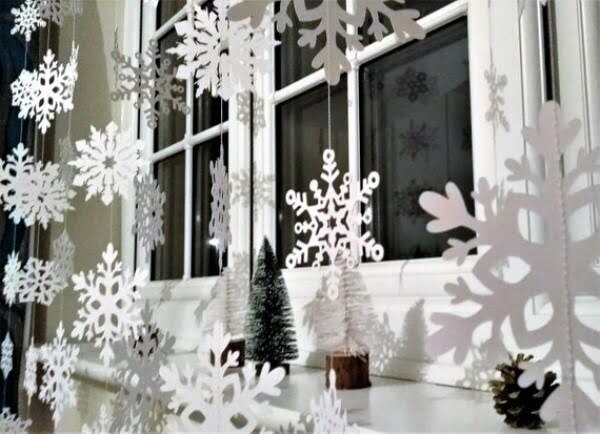 So check out these 20 creative ideas to get inspired and make your best Christmas window decorations ever. Choose a few of these ideas and create something unique yourself. And most importantly have fun! Garlands make great Christmas decoration, and they are very easy to use. You can hang them anywhere on the windows or the walls, and you can easily put them away after the Holidays are over. You can make your garlands too if you’re crafty. All it takes is some paper crafts to do it. Or you can get them cheap on sites like Etsy. The possibilities are endless, and it’s a brilliant decor idea. This idea is one of the classics. 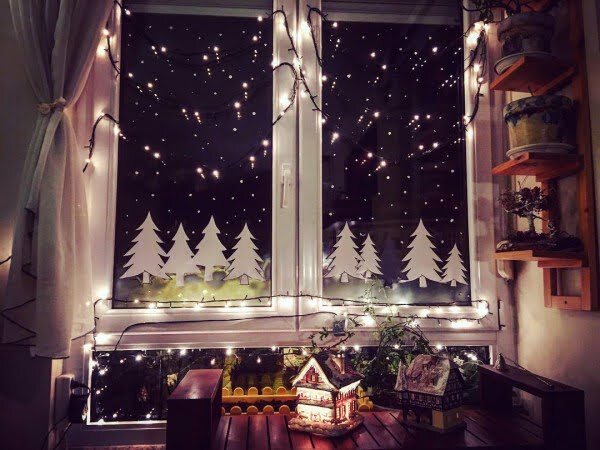 String lights in the window always create a very Christmasy mood. And if you add some vinyl (or paper) trees and other ornaments, it makes a brilliant Holiday scene. 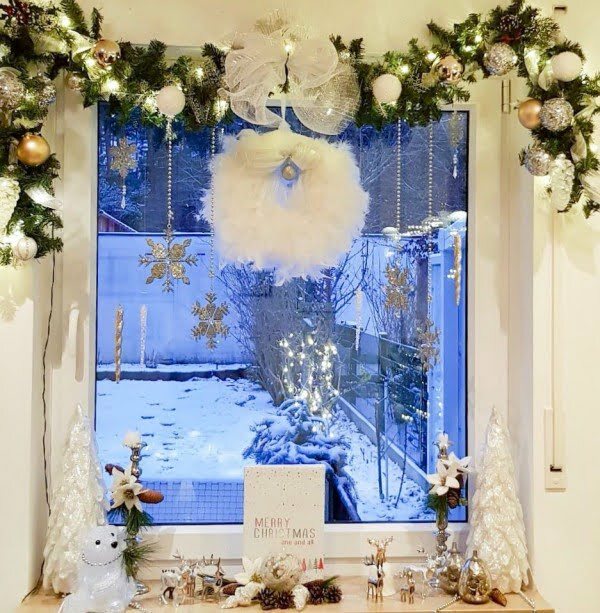 If you want to take it even further, you can create a tiny Christmas village on your window sill. That will take some crafts and thrift store shopping. Ornaments have a place not only on the Christmas tree. 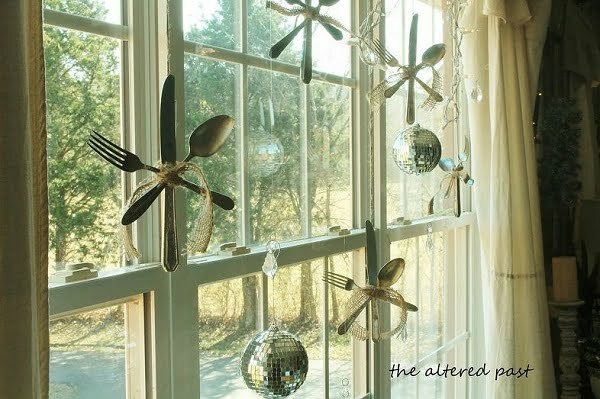 This idea is a take on the concept, and you can create oversized “ornaments” from balloons to decorate your windows creatively. 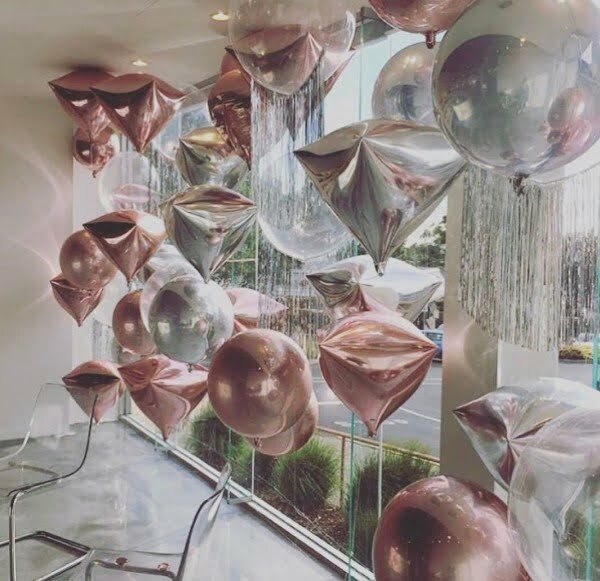 If you choose the balloons right, the onlookers will be very impressed. 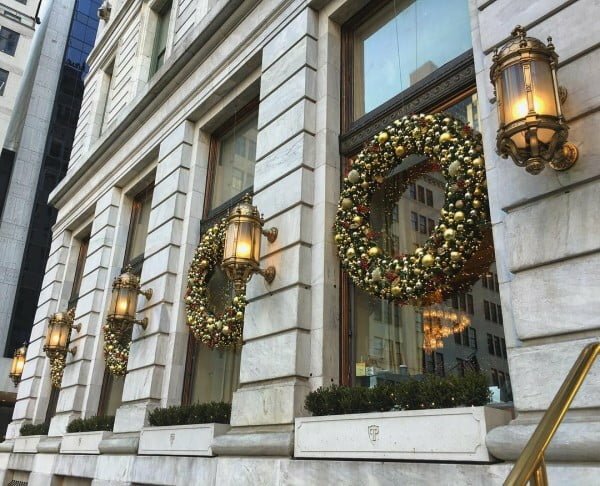 Christmas wreaths can be used to decorate not only doors and mantels, but they also make the perfect fit as Christmas window decorations too. 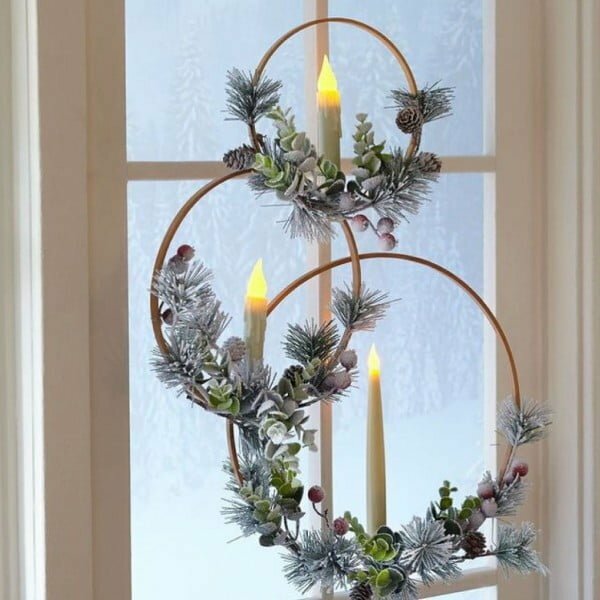 This creative idea shows hula hoops turned into wreaths with a lighted artificial candle. 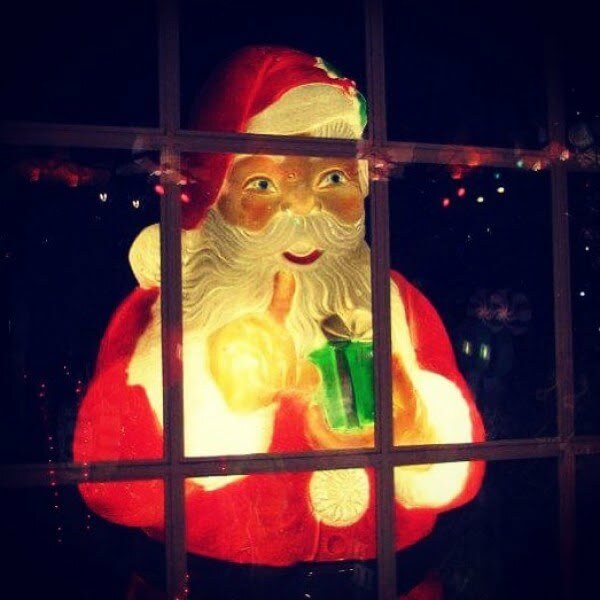 It creates the real Holiday spirit in the window. 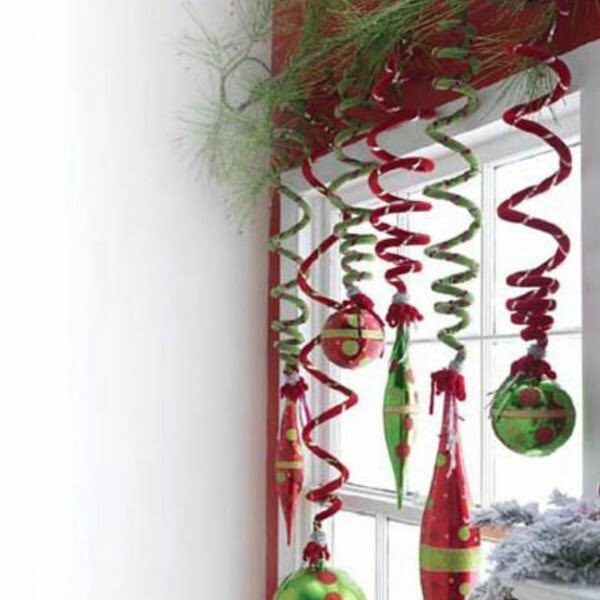 Decorate your windows with Christmas ornament balls by hanging them on ribbons. This makes a nifty decor trick for the Holidays. 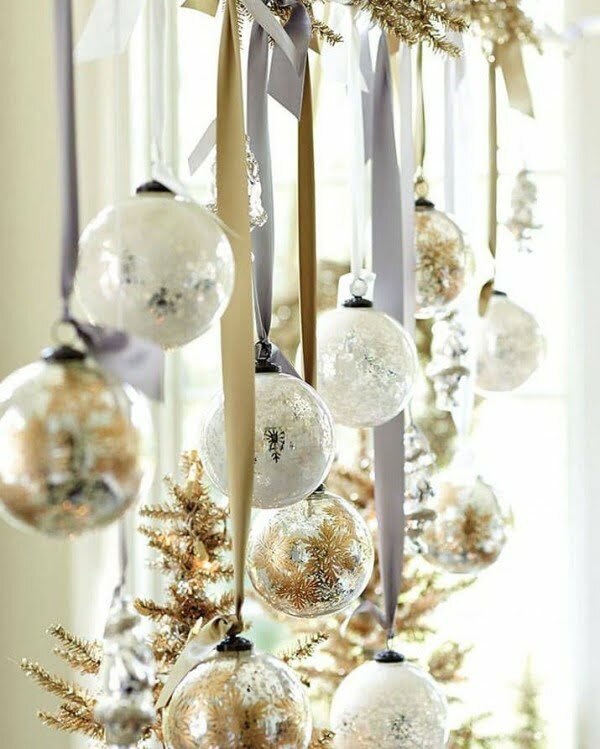 Your windows will look festive and even luxurious (with the right choice of balls). Nothing says Christmas window decorations quite like the traditional wreaths and garlands of evergreen. Add some lovely contrast with red bows and weave in some demure lights for some wow factor in the darkness. Christmas doesn’t have to be all red and green. Enhancing the basic template with many other colors can indeed spice up your decorative theme. White and gold provide elegance to the refreshing greenery on display. The holiday spirit still lives in the heart of the city as well as out in the suburbs and country. A touch of metropolitan formality reflects well on townhome exteriors. 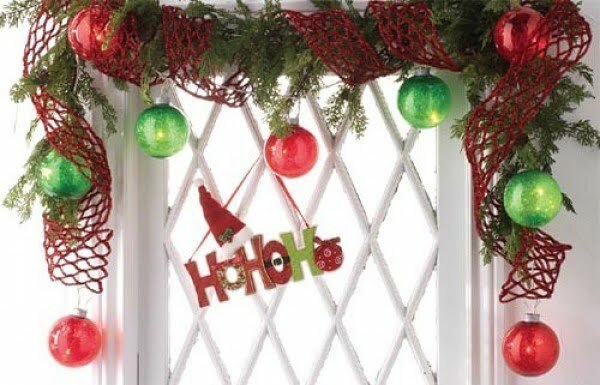 The holiday spirit returns to your home, as this lively Christmas window scene plainly shows. It’s easy to apply and take back down afterward, plus it doesn’t take up the limited space available. 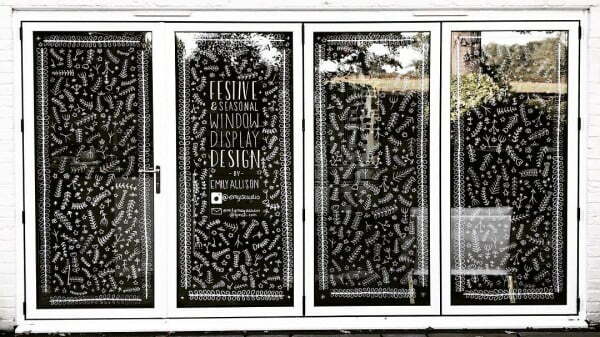 All you have to do is engage in some paper crafts or get pieces of vinyl put on the window. Not every locale is blessed with its ration of the wintry white stuff. Sometimes you have to create your own in an evocative nod to colder climes. Being on the outside looking in is sometimes the best place to be. 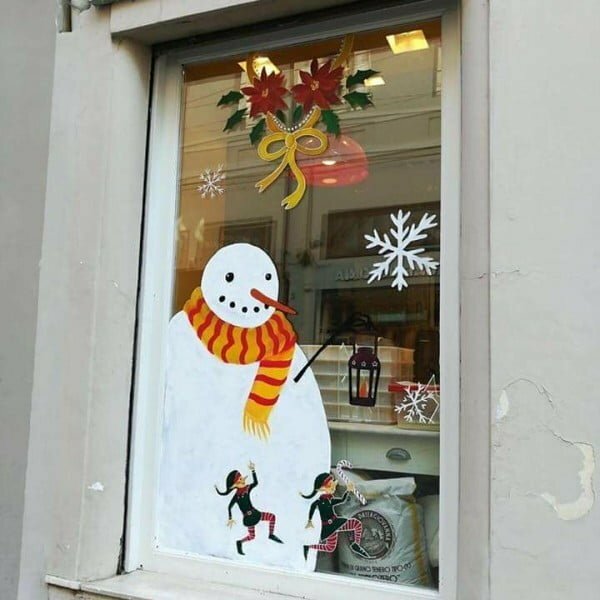 This cheerful snowman and playful elves invite everyone to come inside and get warm by the fire. Vintage silverware comes to life in these clever and versatile holiday snowflakes. Light them up with a baby spot and mirror ball, then watch them twinkle in the darkness. Make any window come alive with a whimsical application of glass chalk drawings. The only sad part is that you need to clean your windows before you get artistic on them. Maybe you like the beautiful scents that the Christmas season brings, as well as the fabulous traditional looks of the holiday. 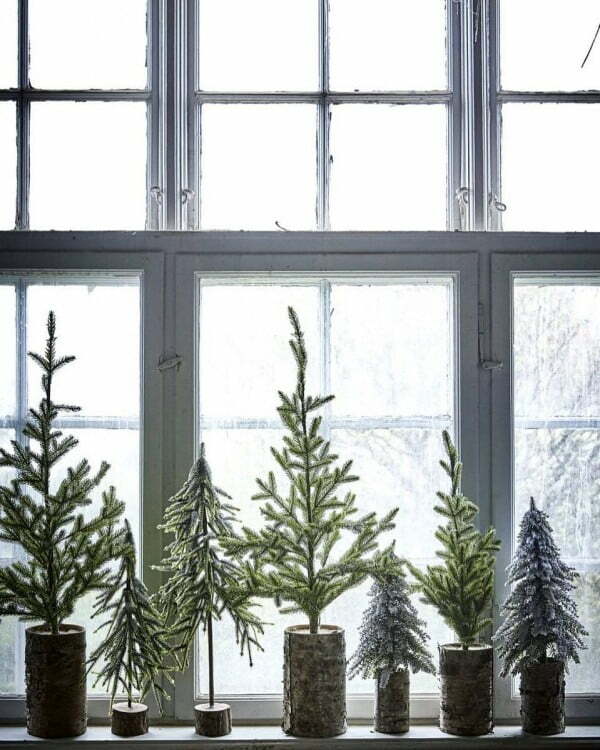 Then these cut bough displays are perfect for your home. 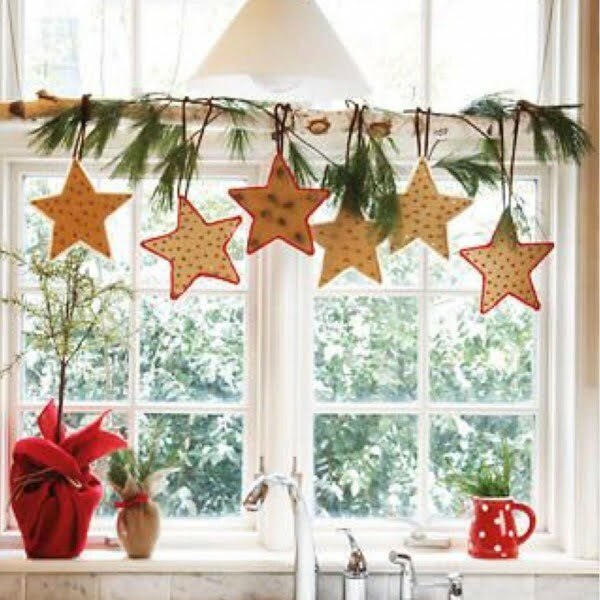 These cute and easy little stars will bring loads of joy to your own Christmas world without ruining your cherished view of the silent snow falling in your yard. There is something irresistible and romantic about the combination of red velvet and glorious white fur. Plus who knows what Santa has inside those tastefully wrapped boxes. You have been good, haven’t you? 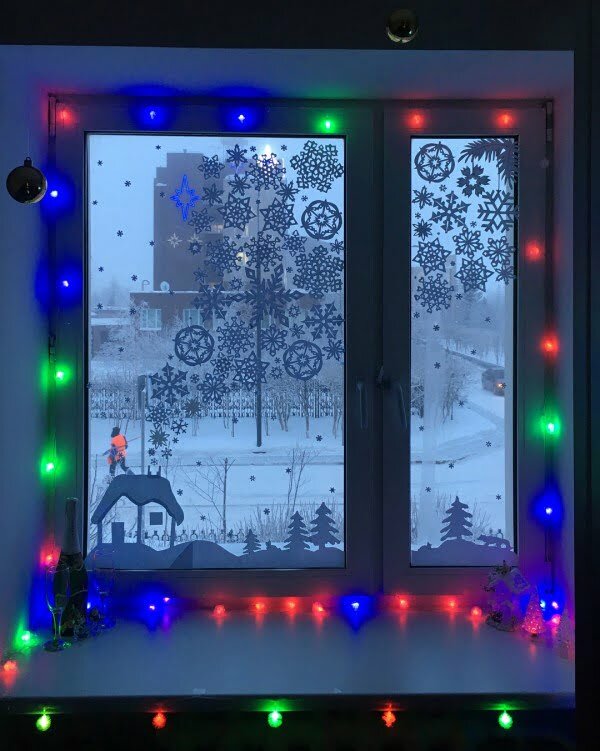 Here’s the perfect way to decorate your window for Christmas and then you can keep the fun going until after the New Year arrives. Fun, festive, easy, and probably earthquake proof as well. Bright cheerfulness abounds in this delightful and slightly deshabille Christmas window treatment. 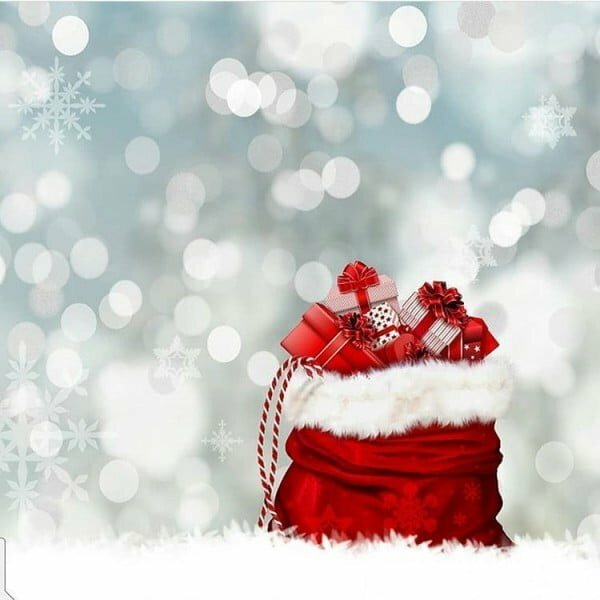 The joyous and vivid expression of warmth and welcome will enchant everyone who looks upon these darling ornaments and jolly Santa hat. Christmas is everywhere and not just in old Connecticut. 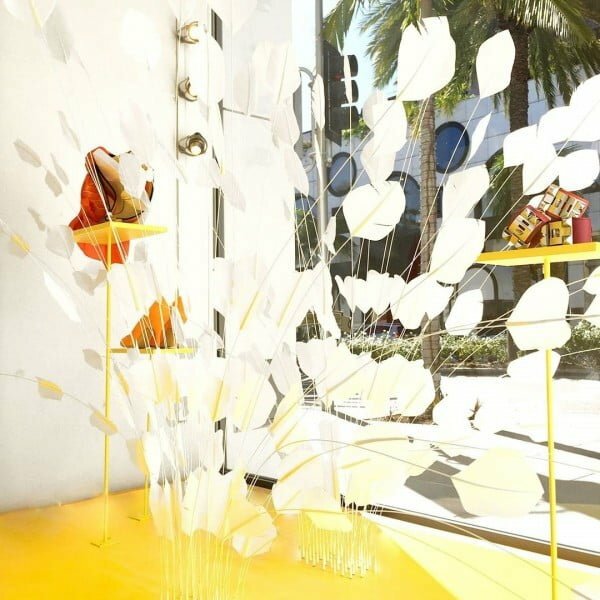 Adding the local flair of Miami’s svelte shopping districts is one way to put your own vivid, modern stamp to the old standbys of the Yuletide season. Bringing fond Christmas memories back to life is one of the best things about the holiday. Looking out this window at Old Saint Nick transports you back to another place and time — warm and safe and all fuzzy with love.